Long term: Restoration of natural streams and bush corridors in Glenside. Short term: Develop places beside the streams for people to visit and enjoy. Get away from it all and enjoy some peaceful time beside the streams. Rowells Road layby site is our current project and is located on the corner of Middleton Road and Rowells Road. The layby is a popular rest area. We are planting native grasses and low-growing flax here so that people on the layby can see the stream. We are also planting areas of pioneer species such as manuka and coprosma. These plants will create a canopy to shelter future emergent species such as tawa, rewa rewa and pigeonwood. The Debris Arrestor is a flood control measure for Porirua Stream. The 300 meter planting site is along the Middleton Road stream bank between Richmond Hill and Willowbank Road. First planted in 2003, this very sheltered site allows the plants to thrive. There is a wide riparian strip partially planted in sedges and flaxes. Stebbings Dam was built as part as part of the flood control measure for Porirua Stream. Access is gained by a short walk, either from the end of Stebbings Road in Glenside or from Westchester Drive in Churton Park. The planting site is on Stebbings Stream at the base of the dam. The site is exposed to strong winds and winter frosts. As a result we have needed to plant this site with a selection of hardy plants. Native fish are often seen in the stream. Plant native trees and grasses. Provide educational information for displays. Collect eco-sourced native seed for our group and others. Raise plants for our planting sites and for other planting groups use. Visit community groups to train adults & children to pot up native plants. Liaise with other environmental groups to share information and resources. Participants are volunteers from Glenside and outlying suburbs. The Streamcare committee meet about six times a year for planning purposes. The Glenside Progressive Assn. 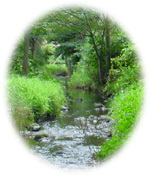 Inc. administers the Streamcare Group’s finances. The Streamcare Group is part of the Greater Wellington Regional Council Take Care Community Environmental Care programme. call the Greater Wellington Pollution hotline 0800 496 734.